6052 ALBERT PIKE RD (Highway 270 W) ROYAL AR (501) 844-7974. 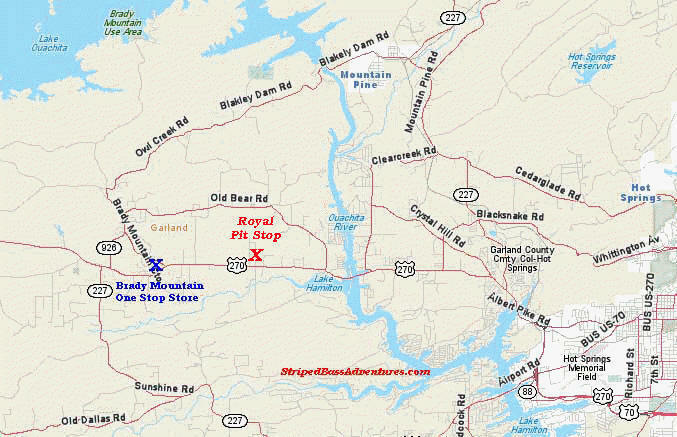 From there we'll drive to one of the Lake Ouachita Boat Ramps & start our striper trip. They serve basic breakfast sandwiches. You'll find a friendly full service store with gas & diesel, car wash, groceries, snacks, soda, beer, fishing licenses, sundries and more.